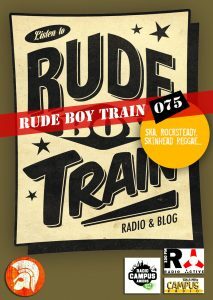 Rude Boy Train Radio 074 – Release Party 2017 N°01. 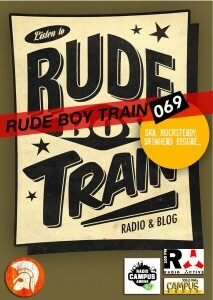 Rudeboys & Rudegirls, nouvel épisode Rude Boy Train Radio pour cette première émission 2017 avec au programme du jour l’actualité de votre webzine préféré avec French Boutik, The Upshitters, Crazy Baldhead, The Bartenders, The Flowerdews, The Upsessions, Clancy Eccles, The Paragons, The Cabrians, Leo And The Lineup, The Slickers, Mimi Maura & Los Aggrotones, Horace Andy, Susan Cadogan, The Transylvanians, The Simmertones…. 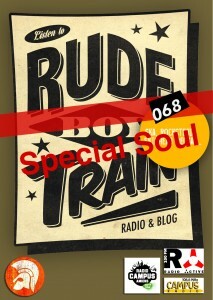 Rude Boy Train Radio 068 – Release Party 2016 N°03 « Special Soul ». Soulboys & Soulgirls, nouvel épisode Rude Boy Train, avec au programme du jour l’actualité de votre webzine préféré pour une émission 100% Soul avec Bottle Of Moonshine, The Liberators, Cherry Boop and The Sound Makers, Hannah Williams & The Tastemakers, Gemma & the Travellers, Nicole Willis and the Soul Investigators, Grace Love & The True Loves, Third Coast Kings, The Suffers, Sharon Jones & The Dap-Kings, Marta Ren & The Grooevelvets, Trio Valore, Charlene, The Adelians, Rebecca Dry, The Mighty Mocambos, Crowd Company……..